The results are spectacular. This homeowner decided to make a positive environmental impact and go green with their landscaping around their new house. 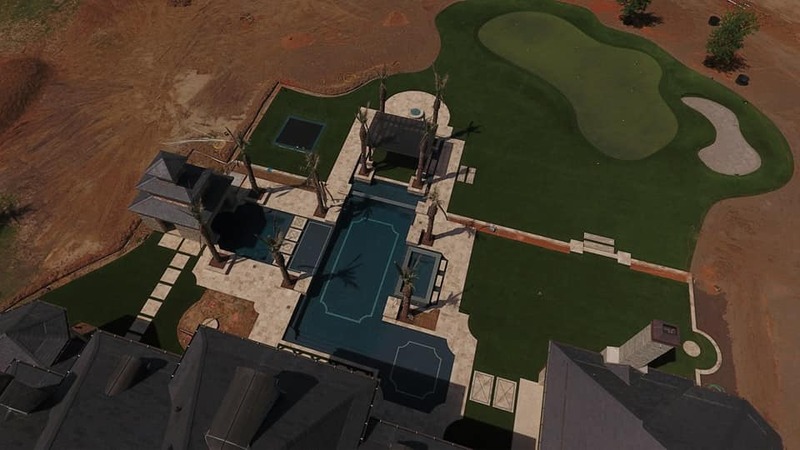 Artificial grass requires no watering, fertilizing or maintenance, making it the perfect, environmentally-friendly choice for this large estate on the Gulf Coast of Texas.